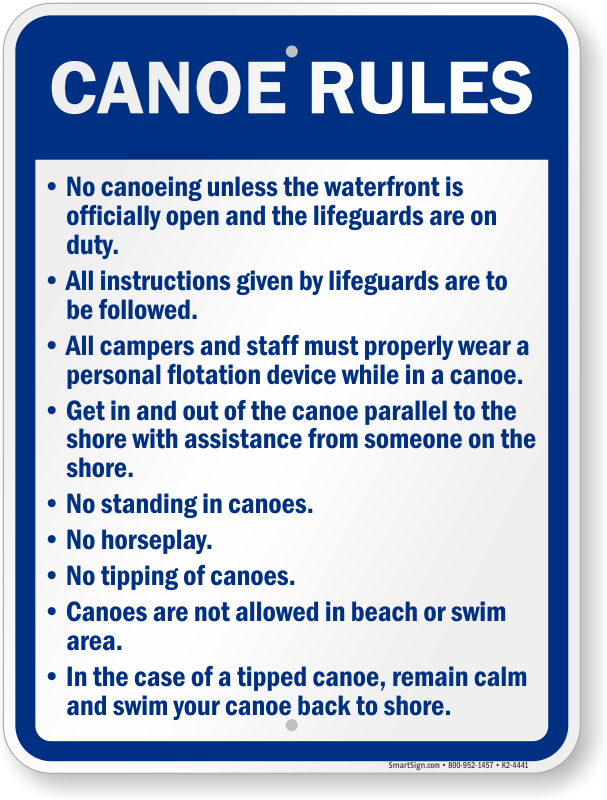 Guarantee that visitors at your lake obey the rules by posting them clearly on a sign. Listed Water Rules are perfect for your pool, lake or pond. 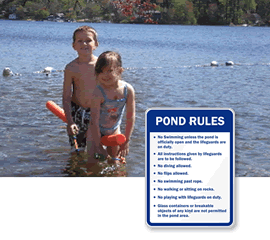 • Make swimming and boating safer with clearly marked signs. 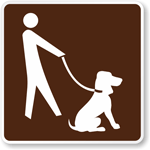 • Waterproof and weatherproof signs serve you as long as you need them. • Hover your mouse over each sign to learn more about the products. Don't see exactly what you need? Call our live support team today.